Last week’s Pew report about the state of the nation’s registration system has generated countless headlines across the nation. Most of those headlines, however, have focused on the inaccuracy of records already on the voter rolls – duplicate, incorrect and outdated entries for voters who may not still live within the affected jurisdiction if they are alive at all. There is another story, however, which is just beginning to get more attention: the estimated 51 million eligible Americans who are not registered to vote. To the extent that new programs to identify and register these unregistered Americans are successful, they could pose new challenges for an election system that is already stretched to its limit in a presidential election year. The important takeaway from the 50 million-plus figure is that while much of the work to be done on America’s registration system will involve correcting and removing existing errors on the rolls – eliminating false positives, if you will – there will be just as much work (if not more) involved in eliminating false negatives and adding eligible but unregistered citizens to the rolls. 1 Comment on "The Other Side of Inaccuracy: More Than 50 Million Unregistered"
Tere is no real systemic issue with the number of unregistered voters as long as voter registration in this country is voluntary AND people choose not to register. 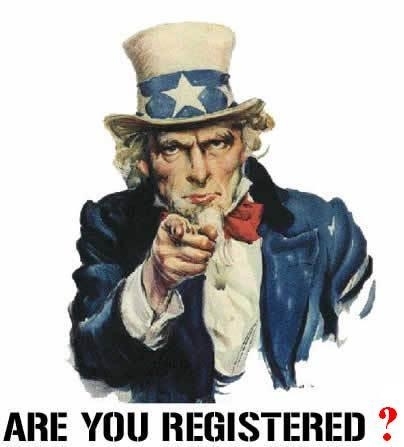 Registration drives are constant; laws such as motor voter make government agencies ask everyone if they want to register, yet so many choose not to do so. The enormous issue facing all of us is really this choice to do nothing. We have lost all sense of civic responsibility. People feel their votes count for nothing and they are frustrated by our political polarization. Of course, the problem with that is with so “few” voters, there will always be a battle to secure one’s base, then to make a grab for as many unaffiliated voters as possible, or, as we see with the constant negative campaigning, attempts to keep the middle voters home; to forcee their disengagement from the process with barragr after barrage of slash and burn ads. The end result, unfortunately is more polarization, bigger fights to appease the base and fewer and fewer voters who actually turn out to make decisions about who will run the country.